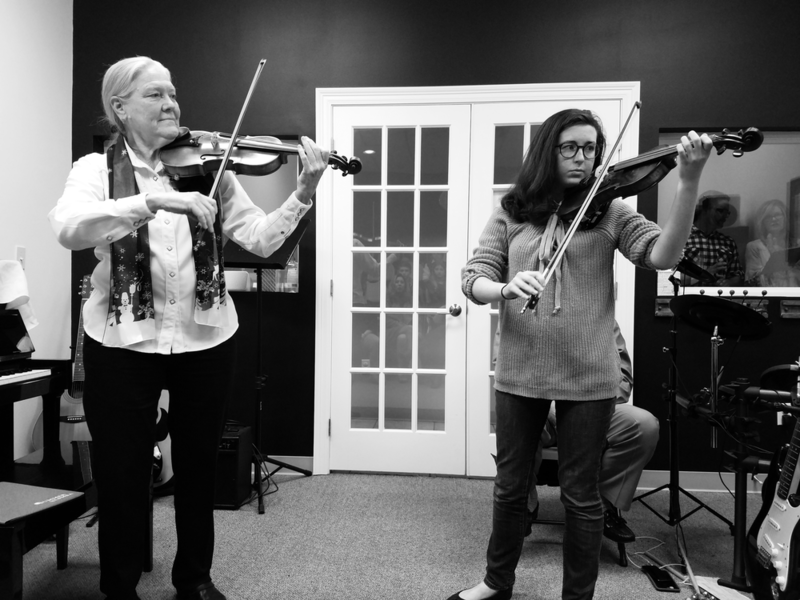 Northlake Academy of Music offers adult group classes in violin. This wonderful class offers you a fun and comfortable way to learn to play with old and new friends! A supportive, friendly environment welcomes beginner and advanced musicians. Classes are offered weekly at our beautiful studios. Adult students participate in a year-end recital. Monthly violin rental is available at a very reasonable rate. Please call for more information.